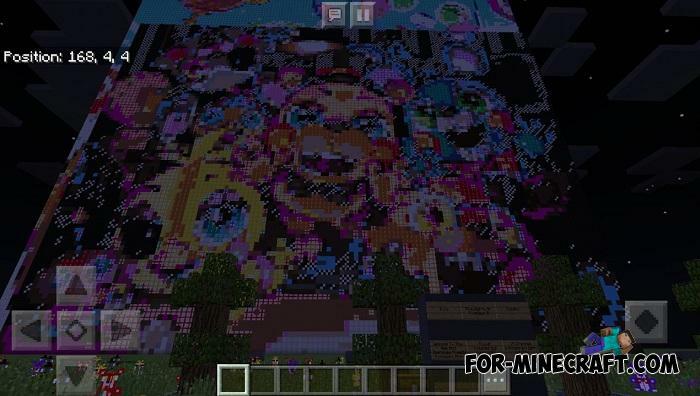 This is the second edition of the game about animatronics recreated in Minecraft Bedrock Edition. Both game projects have a big fan base and many would like to see one game in another. 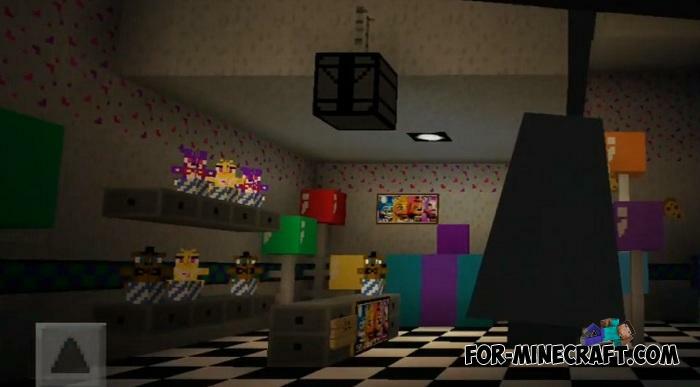 That is why the Five Nights at Freddy’s 2 map was created, which brings not only pizzeria but also the main FNAF element: animatronics. 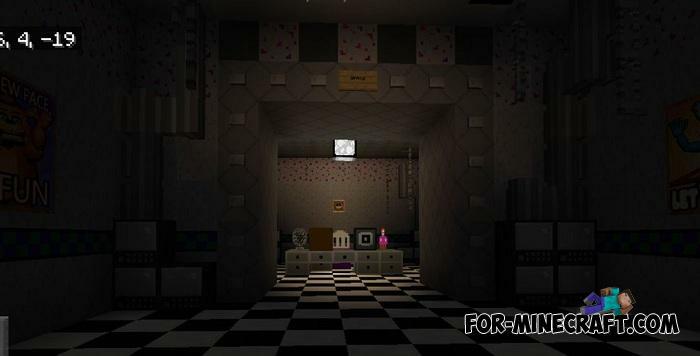 But that's not all: the pizzeria will look almost the same as in FNAF 2, thanks to the built-in texture pack with all the objects from the horror game. Finale Bendy Game Horror map (MCBE 1.7/1.9)You are in a closed place again and you urgently need to do something..
Three Nights At MineStand’s map for Minecraft 1.2How many nights you can spend in a horrible and terrible place?